Technology plays a big part in our students’ lives. It brings the content they want quickly and easily, it keeps them entertained, it helps them socialize. So why not try to incorporate technology into your lesson plans in the classroom? The benefits are numerous and can lead to improvements in very specific problems tasks that you encounter. Working with introverted students, for example, can be difficult especially for extroverted persons such as traveling teachers. But quieter students sometimes feel more confident online, where they can easily find their voice. Incorporating such helpful technology in the classroom can make introverted students feel more at home when they share answers and thoughts. Students’ attention spikes when watching videos. It is your task to take advantage of this and turn it into a learning experience. When I was a teacher, my students loved the days when we had five minutes to spare at the end of the day. They knew that chances were, we’d be watching some cool random video I’ve stumbled upon. YouTube Channels such as Vsauce, AsapSCIENCE, MinutePhysics, and Veritasium provide quality content, presented in an attractive way. I rarely had to pre-teach vocabulary with my Upper Intermediate students, but if you teach lower levels, get your students familiar with the more obscure words before presenting a video. The true potential of these videos is revealed when used as an introduction to discussions, reading, and even writing activities. The videos that I picked weren’t necessarily a perfect fit for the days’ topic, but with guided questions students can be pointed in the right direction. Such videos are excellent replacements for listening activities and if you make your own materials, the results are staggering. Best of all, by bringing technology to the classroom you don’t have to rely on the devices students own and have access to at home, as these might be scarce in some countries. If presentations fail, don’t panic. Remember, you’ve got it all in your head and there’s always the trustworthy blackboard to help you. We all know and love lesson presentations – they saves us a lot of time during class, which we can then spend on further explanation and practice. But what happens when Microsoft’s pricey PowerPoint is not an option? Worry not. In fact, rejoice. There are a wide variety of free web apps out there, and there are some outstanding solutions that will take your presentations to the next level. Prezi takes a simplistic approach to presentations. Kinesthetic students are particularly keen on it as the transitions are based on movement, zooming in and out, and rotation. The effects are just subtle enough not to distract your students and with some practice you can make immersive presentations. Nothing will make your students more excited than shooting a movie with them. This is a great way that you can turn role-play into something that they will take seriously. You don’t need to have a whole filming crew with you, although playing the film crew can also be fun! Set up the assignment by giving clear instructions and, give your students time to practice and record. Editing the video can be easy as 1, 2, 3 with tools such as iMovie for the iPhone or WeVideo for Android, or even Instagram, where it can be shared with ease. Such classroom movies are very impactful on parents too, allowing them sight into their kids’ progress. The education startup Duolingo has made a huge impact on the way people learn languages and it is more accessible than ever. Assigning extra digital tasks is a great opportunity to put technology to good use. And this can be more than just fun for students – technology can bring back their passion for learning. No matter how creative you get with handouts for extra work at home, they are bound to get repetitive and students will eventually lose interest. Duolingo is a language learning app that totally rocks. It started as an iPhone app, but now it’s made its way to the web cutting the need for a fancy smartphone. Hands down, this is the most fun way anyone can learn a language and it shouldn’t be ignored by teachers. Assign your students parts of the language tree and track the experience that they gain. The app offers a variety of exercises that range from grammar and writing, to listening and speaking. Keep in mind that while implementing technology in the classroom looks like the best thing you can do, it shouldn’t be all that you do to modernize your teaching methods. Ideally, its function is to complement the teacher and support students as part of a bigger strategy. Strike the right balance and watch you students thrive! Did I manage to get your interest? 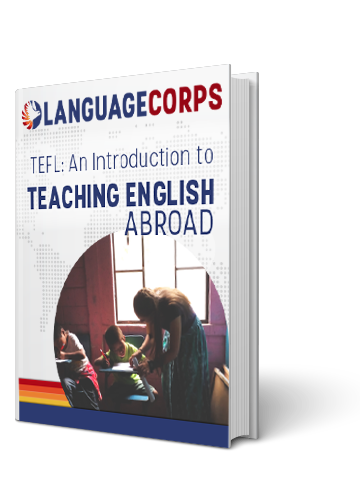 In many countries throughout the world, teaching is still largely tech-free, and incorporating new methodology into the ESL classroom can be one of the most satisfying aspects of teaching English abroad. If you’re exciting about being part of the education revolution, head over to LanguageCorps to check out some of the exciting locations where you can teach today! Also, if there’s an online tool, an app, or any other kind of technology that you use in your classroom that we haven’t gone over, make sure you drop a line in the comments below.